Jeep has further advanced the Wrangler line with the new Willys Wheeler edition. It maintains it’s classic Jeep-ness with some stylish touches that recall the vehicle’s WWII heritage. In an automotive world of increasingly high-tech cars and SUVs, it’s good to know that the back-to-basics Jeep Wrangler Sport 4×4 still exists. 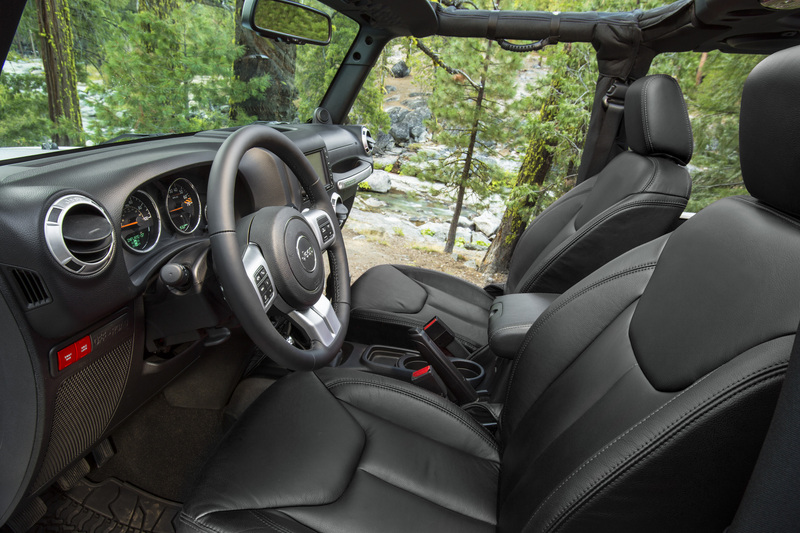 The 2014 Wrangler Sport comes loaded with some of the high-tech systems drivers have come to expect in current cars and trucks: electronic stability control, traction control, Bluetooth connectivity, tire pressure monitoring system and steering wheel mounted audio controls. But, that means there are still a quite a few manual controls to remind you that the Jeep hasn’t forgotten its DIY roots. The 6-speed manual transmission is standard (mated to a 3.6 litre V6 engine) as are the manual windows, manual mirrors and fold-away fog lamps. Plus powering the entire thing is a simple key – no proximity-sensing fob that can stay in your pocket as you push a button to start the engine. You use a key to lock and unlock the doors then place the key in the ignition, y’know, just like in the old days. If you’re really bothered by having to open the doors, you can just remove them. 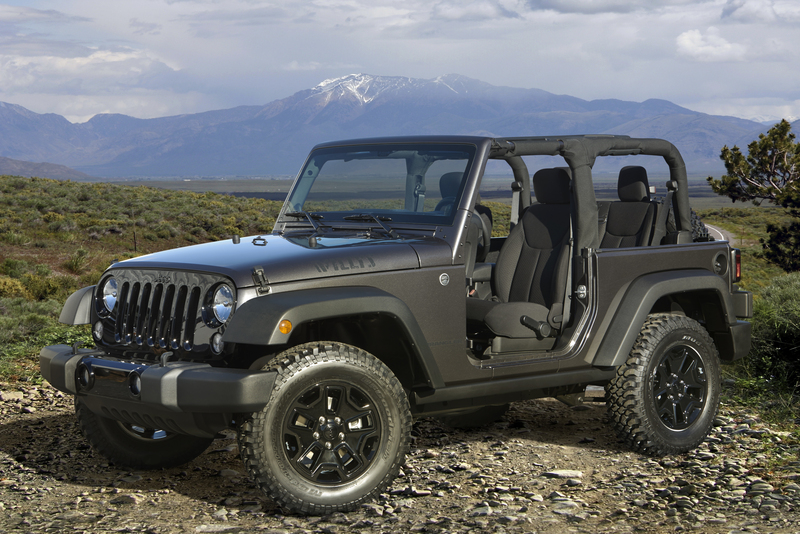 Then once the soft-top is lowered (it’s standard equipment, but a premium version is a $350 option) you’ll have an authentic Jeep driving experience. Which is what the longtime Jeep enthusiasts are after, according to parent company, Chrysler–just a few frills, but nothing that will prevent them from enjoying the feeling of the open road. On the open road the Wrangler Sport performs well. Its relatively short wheelbase and offroad-ready suspension means you’ll feel a few more bumps in the road than you would in a typical car, but you should expect that in a Jeep. The V6 is powerful if a bit loud, but not that thirsty – my week’s drive on a combination of city streets and highways netted fuel economy of 12 litres/100 km. Not bad for a vehicle with the aerodynamic qualities of a brick. On the highway, the Jeep feels solid and centred. Driver and passenger seats are comfortable and allow for a good view of the road, but the rear seats are a bit cramped. The dash and console layout are straightforward but all controls are easy to find and use. The six-speaker audio system was a particularly great feature. Two of the speakers are located in the crossbar above the driver and passenger seats, respectively, allowing for quality sound even when the top is down. It’s a small perk but it shows that Jeep knows what its owners will place a premium on. The soft-top means that exterior road noise is more pronounced than on a typical car but it wasn’t as noisy as I expected. The multi-step process to lower the soft top and remove and store the rear side windows was a bit confusing at first, but gets easy after the first attempt. All this for just under $30,000 (the review model I drove was priced at $29,970, before taxes). Less than many SUVs and performance cars and a relatively small price to pay for the ultimate summer vehicle.